Photo: Clark House, ca. 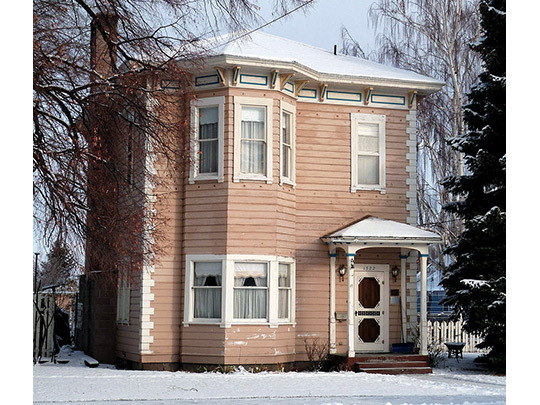 1880, 1522 Washington Avenue, Baker City, OR. Listed on the National Register of Historic Places in 1989. Photographed by User:Ian Poellet (own work), 2012, [cc-by-3.0 (creativecommons.org/licenses/by/3.0)], via Wikimedia Commons, accessed July, 2014. Baker County Courthouse is located at 1995 Third Street, Baker City, OR 97814; phone: 541-523-8200. Baker County administrative offices are located on the first floor of the courthouse building; phone: 541-523-8209.